Pets: Are They Good for Health or Not? Dogs and cats add a lot to a family. At some point families, and even individuals, ask the question, “Should we get a dog or a cat?” Of course a puppy or a kitten can be a lot of work in the house-breaking phase, and grooming and vet bills are ongoing. Some people worry about germs and contamination; the truth is the the CDC has not had even one report of infection from a pet. Having considered all this, what are the benefits — particularly in regard to health on the physical, emotional, and mental levels? Of course, the highest value is how a pet draws our attention outside ourselves. The definition of health on the mental level is selfless creativity. This comes effortlessly with a pet. A living breathing animal whose heartbeat we can feel inspires affection. Soft furry skin can be petted. And each animal has an individual personality — some lively and playful, some more sedate and soothing. For children, adults, and even elderly, they can draw out a playfulness which helps keep all of us young. It has been proven that pets stimulate oxytocin, the affection hormone that we all feel when we fall in love, and when we hold a newborn. Simple sensual pleasure is enhanced, which is especially important for people who feel isolated or withdrawn in their lives. Oxytocin also explains the tendency for many owners to view their pets as their children! As always, I like to point out the value to remain close to our genomic origins — as closely as possible to our caveman heritage. There is a specific biophilia hypothesis that says we are programmed to feel more comfort and security if our dog or cat is quiet and peaceful. In ancient ages, humans lived with animals (especially dogs) to use their senses to detect danger. If our watchdogs are quiet, we can relax! Pets do increase cohesion in families as well. When there are tensions or dysfunctions, a dog or cat can help draw everyone’s attention outside their shells, and for children in such a situation, pets can provide comfort and security. This fact has been validated by psychotherapeutic research. For children, pets create a sense of responsibility and discipline. Whether it is a fish, a bird, a hamster, or a dog or cat, maybe even a pony or horse, regular and specific care must be carried out. This is true even though children’s pre-frontal lobes are undeveloped, so planning and discipline do not come naturally [more on this in a later blog post]. Kids gain confidence, learn to overcome fear. 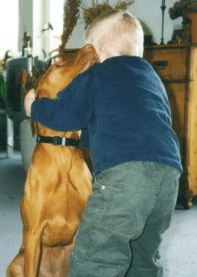 The biggest benefit to children from working with pets is to gain self-confidence. If they have fears, they learn to overcome fear. 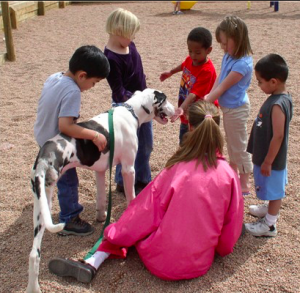 It is also a setting to interact with other children and their pets. This can be a particular benefit for those with speech dysfunction or shyness. For adults, dogs or cats bring back childhood and relaxation, playfulness and pleasure. In addition, a dog can encourage more exercise, which offers huge health benefits. One study of stockbrokers under high stress demonstrating more relaxation and reduction in blood pressure if they own a pet. For the elderly in the family, a dog (and maybe even an active cat) can encourage exercise and range of motion. Also, as senses diminish in older age, interacting with a pet increasing sense awareness and reduces loneliness. There actually has been a study in Australia and UK that surveyed the health benefits of owning a pet. 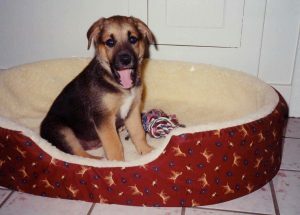 They found that pet owners visited doctors less, used less medications specifically for cardiac problems and insomnia. Another pivotal survey of research in the field of pet therapy is contained in Alan Beck (1983) Between Pets and People: the Importance of Animal Companionship, NY: Putnam. There is a whole field of pet therapy used especially in nursing homes for the elderly and for longterm recovery from physical or mental ailments. Patients recovering from heart attacks or undergoing cancer chemotherapy, and even children having dental procedures have all benefited by animal-assisted therapy. In this situation, trained animals are brought in from the outside to provide companionship for specific situations. This has been used on a longer-term basis for people hospitalized for congestive heart failure and for vets with PTSD. To be fair, there is also literature considering this type of temporary intervention as not being supported by good enough research validation. Subjective benefits cannot be denied, but quantitative proof of benefit for specific ailments is hard to come by. The controversy became particularly heated around using dolphins to assist people with autism, dementia, or ADD. Claims had been made that there were benefits, but data was sparse, and studies were sponsored by groups involved with this approach itself. 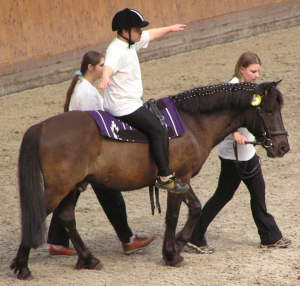 Finally, it is important to point out the use of horses to enhance balance in multiple sclerosis and cerebral palsy victims. In my private practice dealing with chronic diseases, I have frequently seen equine therapy be highly effective!